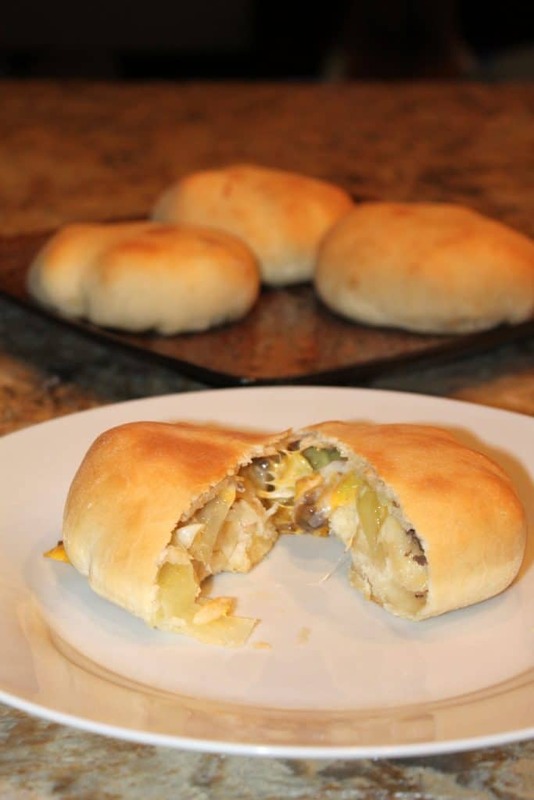 Bierocks are a classic german meal that consists of cabbage, onion, and beef all inside of a sweet roll. 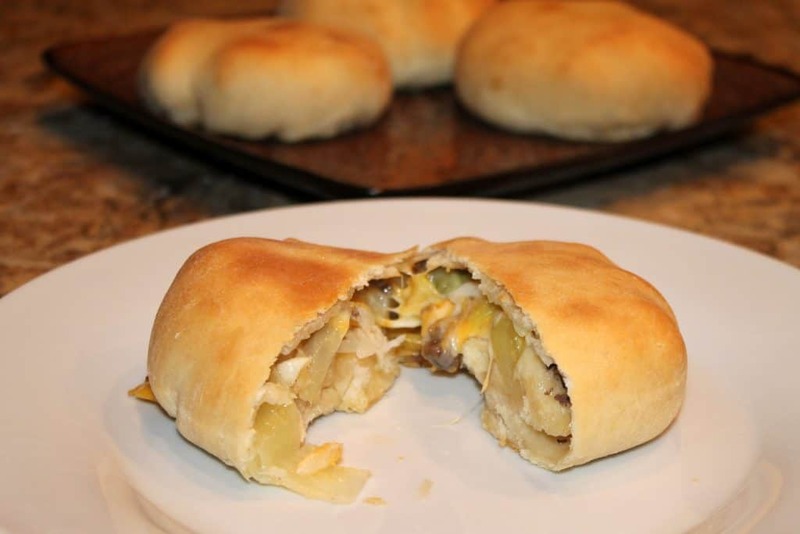 If you have never had homemade bierocks, you have never lived! That might be a bit much, but seriously they are THAT good. 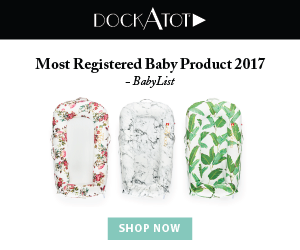 Now, they are time-consuming to make, but don’t let that stop you! I have easy to follow instructions to help you step by step. The first thing you will do is add yeast to your large mixing bowl. Then you will add in your warm water. Whisk these together for about 10 seconds and then let it set for 10 minutes until it looks frothy. You will want to microwave the milk for 20-30 seconds or until it feels warm. Also, you will want to melt your butter and then let it set. 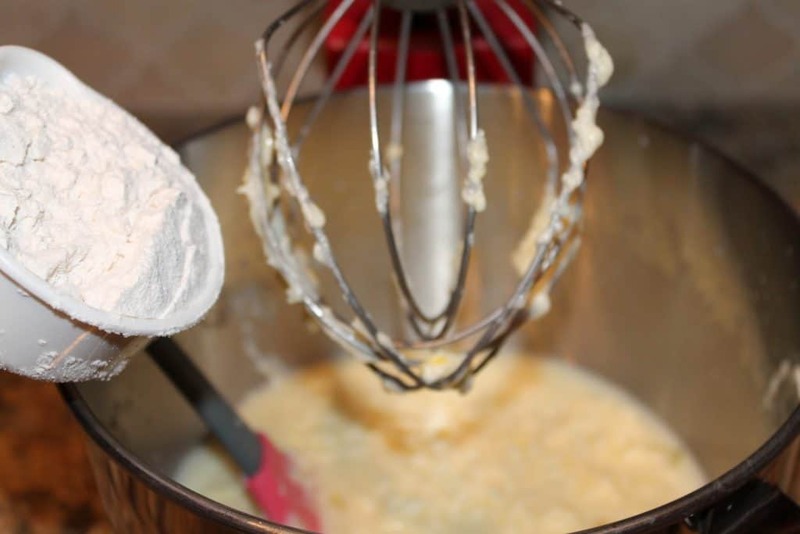 The key to a dough that rises properly is using warm temperatures of liquid ingredients. If it’s too hot, it won’t rise. 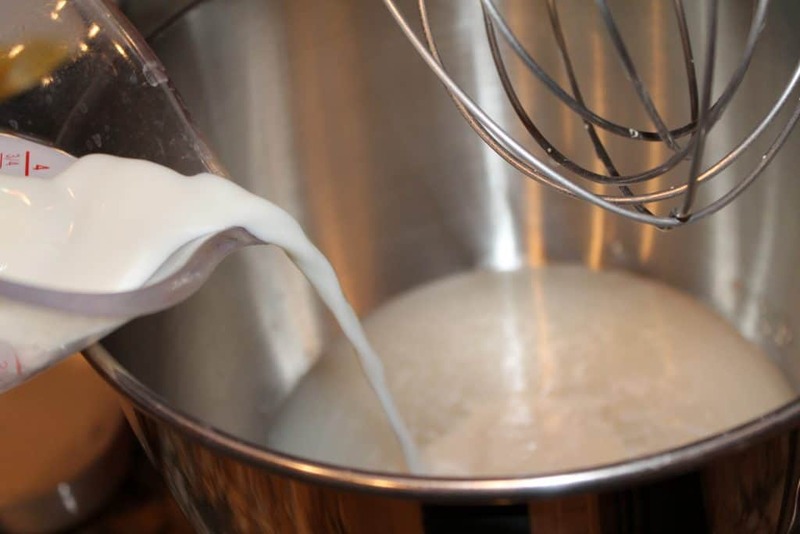 When the water and yeast are frothy, you will add in the warm milk and melted butter. Mix this for about a minute. Then, add in your sugar and eggs. After this has been mixed well, you will begin adding flour. Start by adding in 1 cup at a time. 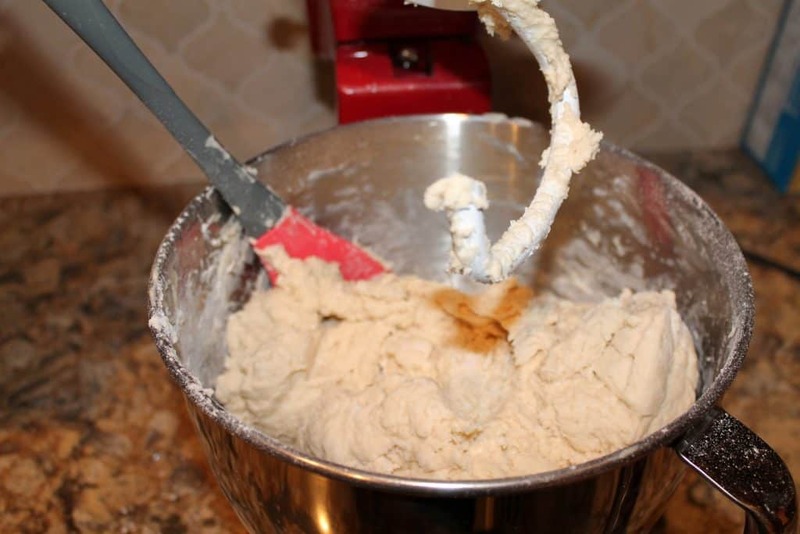 When the bierock dough starts getting thicker, switch to your dough hook. Keep adding in all the flour until you have used up the 10 cups. Then, you will want to scoop this dough out onto a floured surface and knead for 2 minutes. 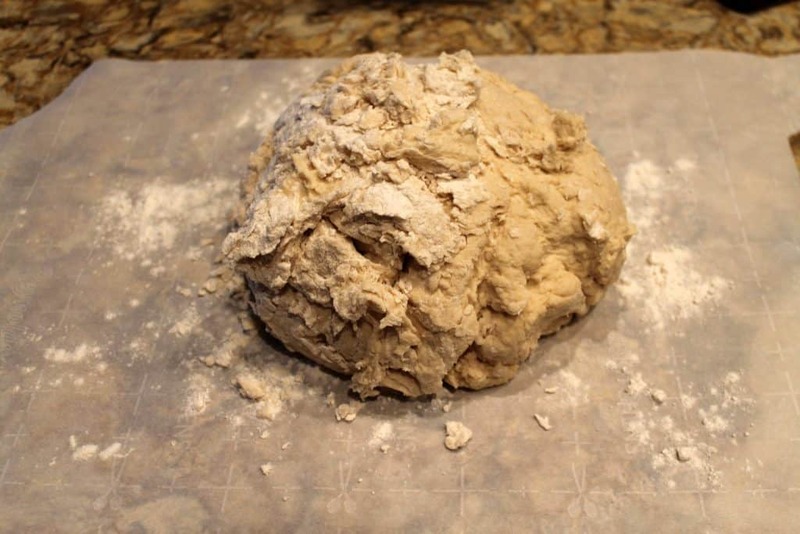 Kneading is when you grab the edge of the dough and fold in towards the center, pressing down. You then keep rotating the dough ball until it looks more uniform. Form it into a ball and place it in a well-oiled bowl. 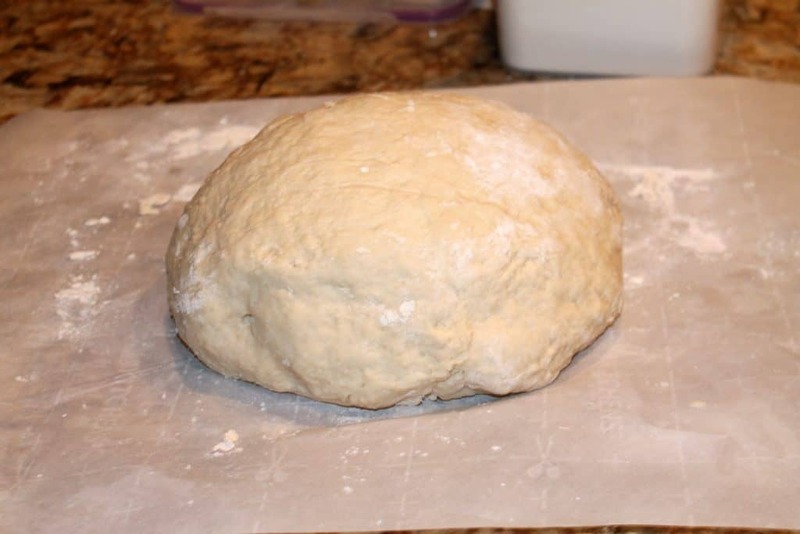 Cover the dough, and let it rise in a warm location of your house for about 1 hour. You can then work on the bierocks filling. 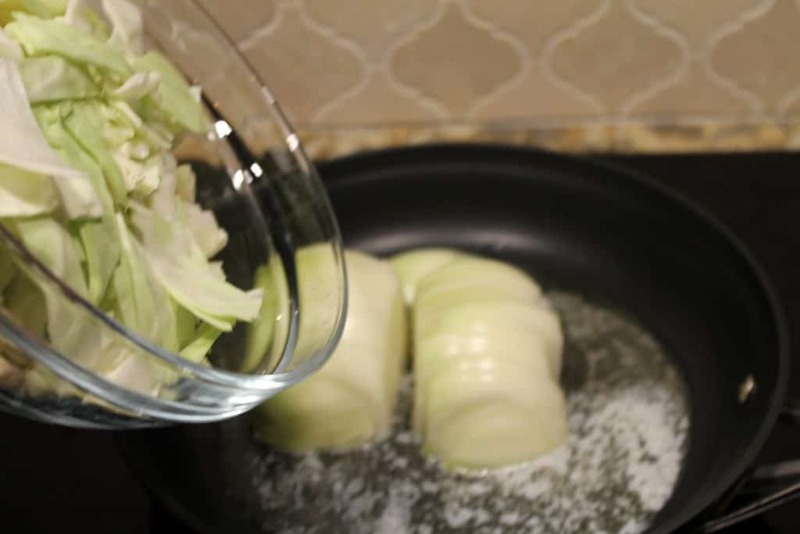 Start by chopping up your onion and cabbage. 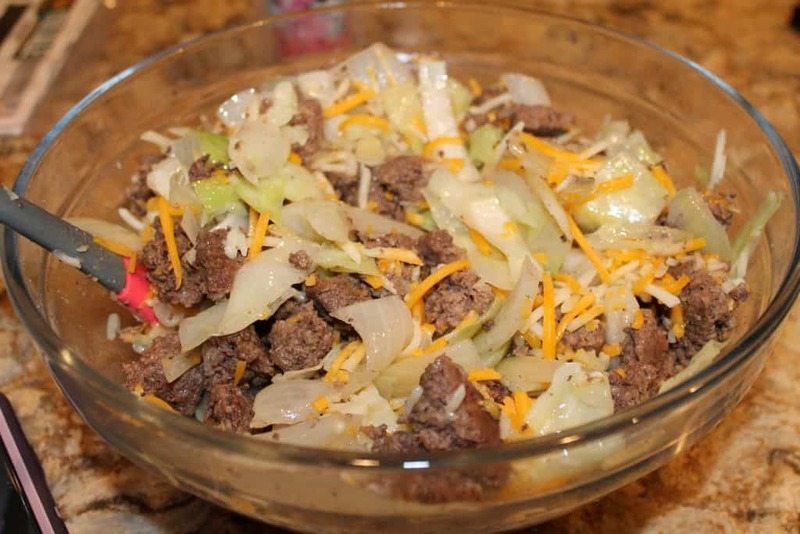 You will want to place butter into a large frying pan and then add in the shredded onion and cabbage. Let this cook for 6-7 minutes stirring often. 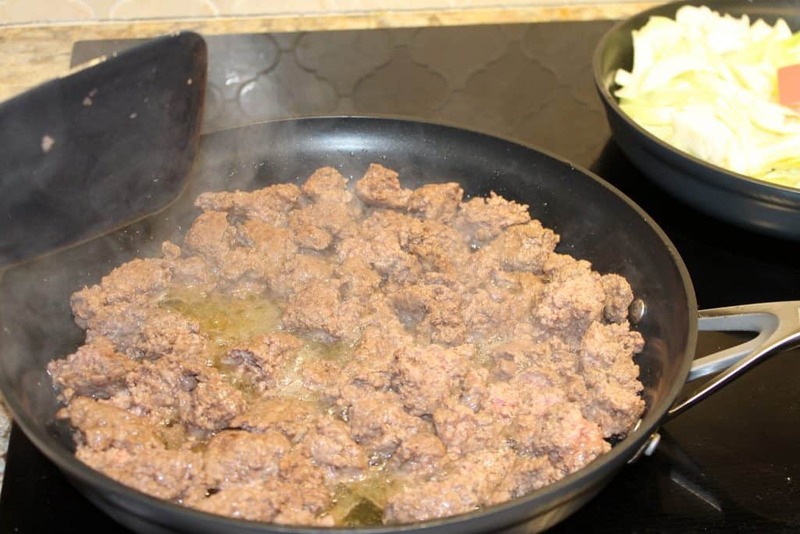 Next, you will want to cook your hamburger and then drain the grease. 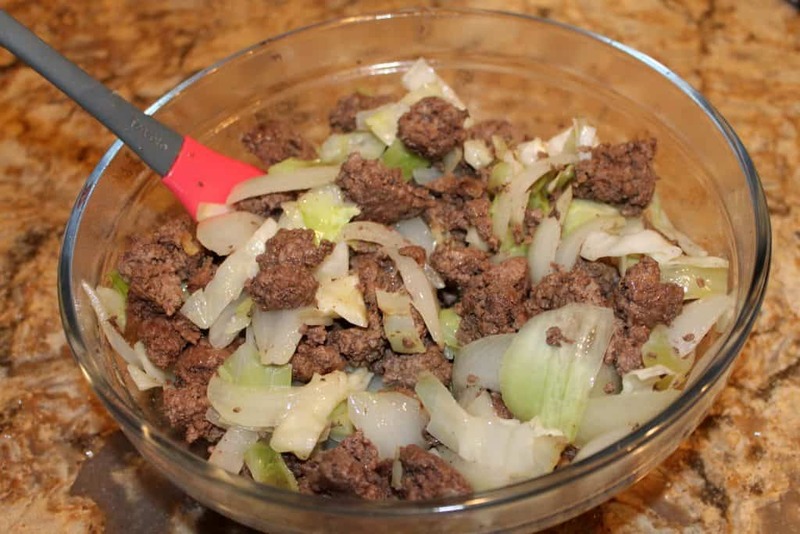 In a large mixing bowl, you will combine the hamburger, cabbage, onion, and salt and pepper. This will make a traditional bierock filling. What I like to do is also add in some shredded cheddard cheese! This step is certainly optional, but if you like cheese, I definitely recommend it. You will mix all of this together. When the dough has risen for the full 1 hour, you will then separate out the dough into 18 balls of dough. 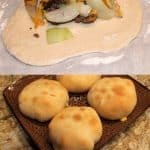 Roll them each out on a floured surface. Then you should pre-heat your oven to 375 degrees Fahrenheit. 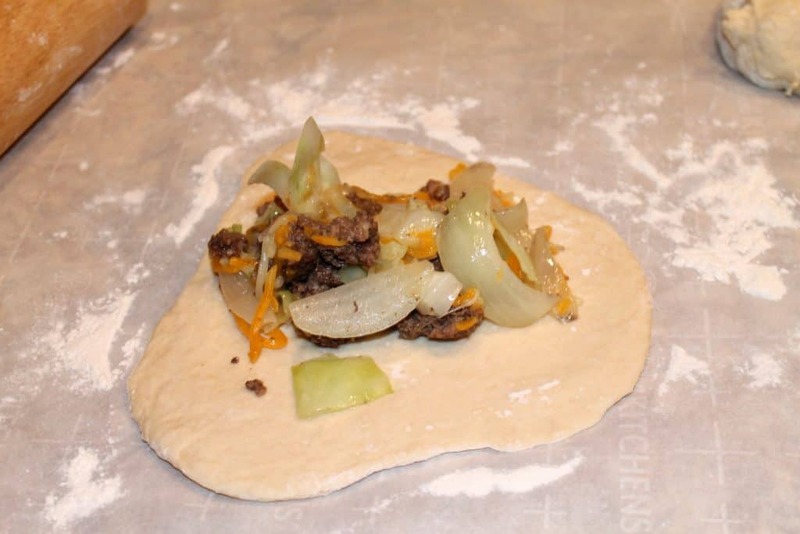 The next step is to scoop approximately 1/2 cup of the bierocks filling into the dough. 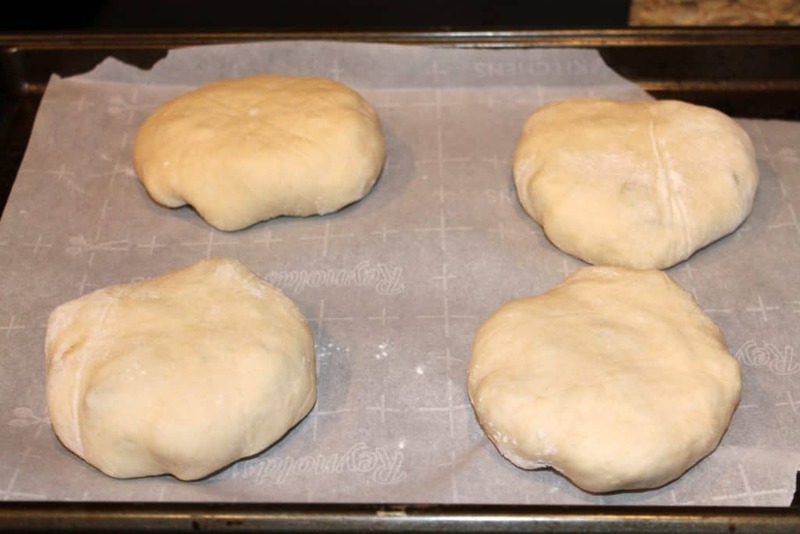 Then fold the dough around the filling, pinching it closed. Then place it on a cookie sheet with parchment paper, seam side down. You will then bake these bierocks for 30 minutes. Make sure to rotate the pan half-way through cooking time. Another optional, but equally tasty thing you can do is brush the tops with melted butter! 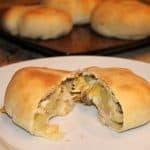 This recipe make approximately 18 bierocks. 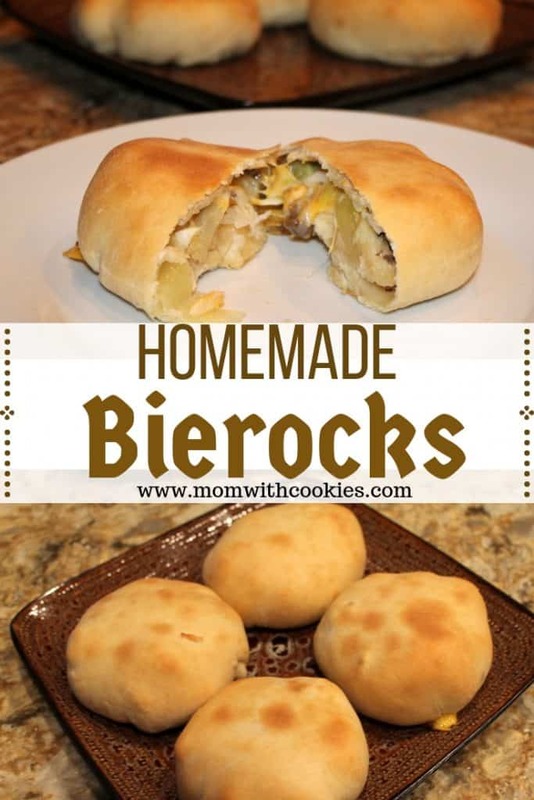 Bierocks are a famous German dish consisting of ground hamburger, cabbage, and onion all encased in a sweet bread roll. The combination is amazing! 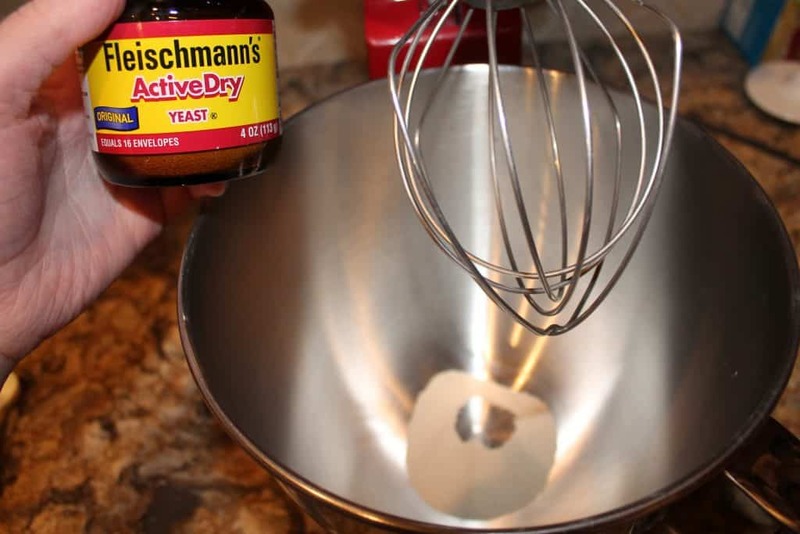 The first thing you will do is add yeast to your large mixing bowl. Then you will add in your warm water. 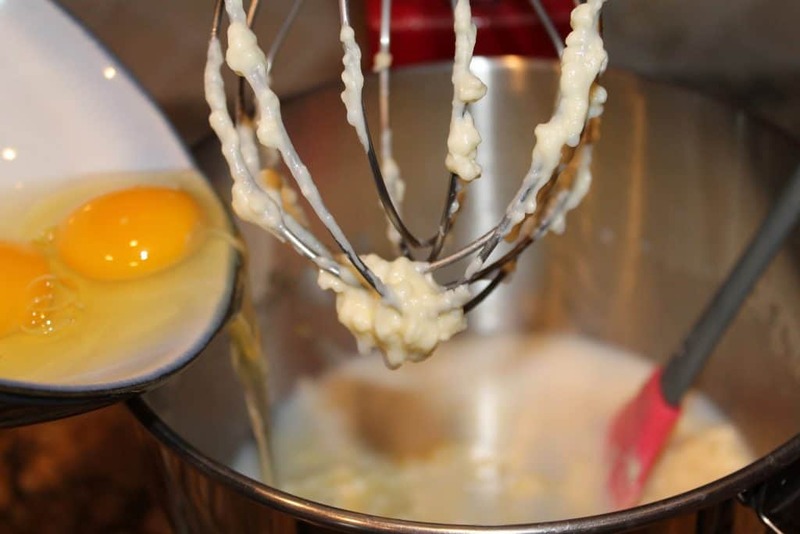 Whisk these together for about 10 seconds and then let it sit for 10 minutes until it looks frothy. Then you will want to microwave the milk for 20-30 seconds or until it feels warm. Also, you will want to melt your butter and then let it set. Then, add in your sugar and eggs. After this has been mixed well, you will begin adding flour. 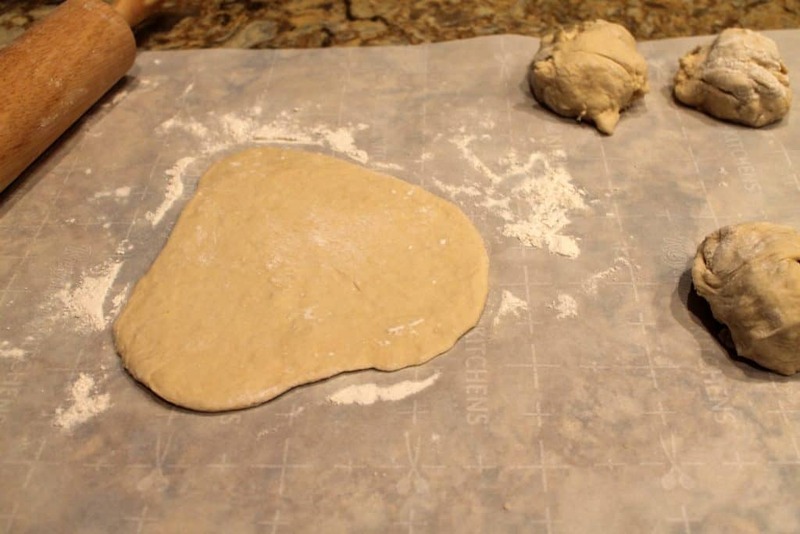 Then, you will want to scoop this dough out onto a floured surface and knead for 2 minutes. Form it into a ball and place it in a well-oiled bowl. What I like to do is also add in some shredded cheddar cheese! This step is certainly optional, but if you like cheese, I definitely recommend it. You will mix all of this together. Then, pre-heat your oven to 375 degrees Fahrenheit. Next, scoop approximately 1/2 cup of the bierocks filling into the dough. 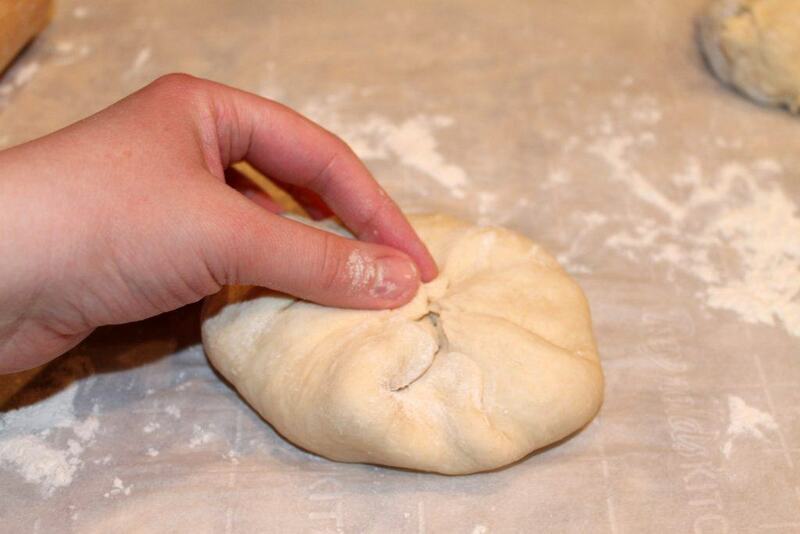 Then fold the dough around the filling, pinching it closed. Then place it on a cookie sheet with parchment paper, seam side down. You will then bake these bierocks for 30 minutes. Make sure to rotate the pan half-way through cooking time.